Kids love clowns! They make that birthday party come alive. As with all our performers; they have had their background checked to insure safety around your little tikes. Nothing is more precious as a child�s smile and our clown�s will be sure to achieve this. 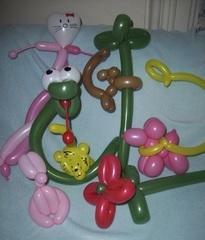 Our clowns also double as a balloon artist.